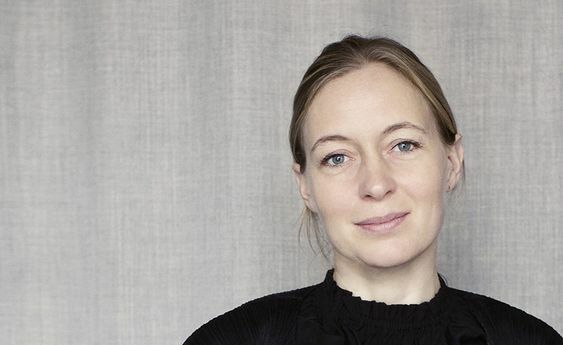 Our #marlanteaklovesdesign spotlight is on Cecilie Manz – CECILIE copenhagen today. Cecilie Manz lives and works in Copenhagen. After graduation from The Royal Danish Academy of Fine Arts – The School of Design in 1997 with additional studies at the University of Art and Design in Helsinki, she founded her own studio in Copenhagen in 1998. The Atmosphere collection for Gloster Furniture is one of her most recent projects. 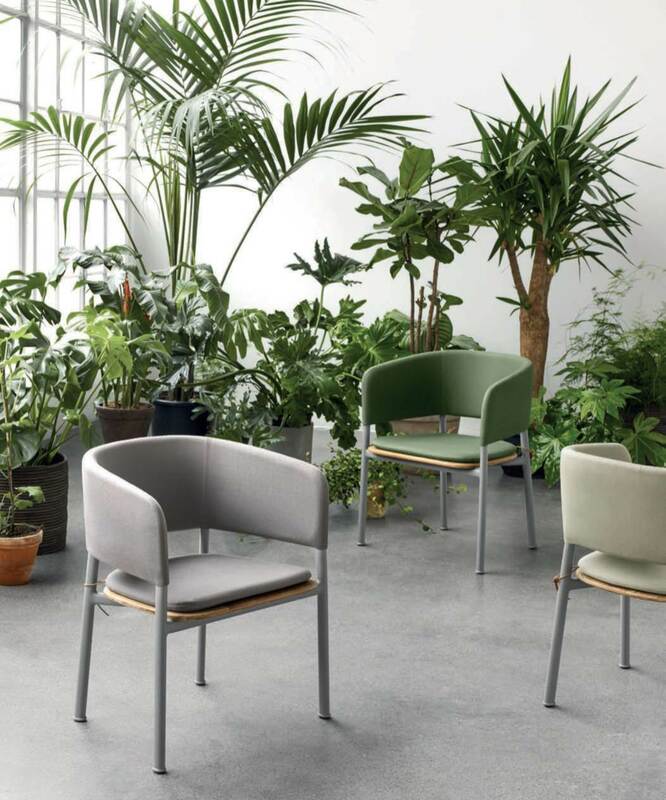 Cecilie Manz has intuitively embraced the emotions behind the design in a powerful mixture of minimal, powder coated aluminium frames, generous board of Gloster’s signature teak and cleverly designed self-supporting upholstered panels. 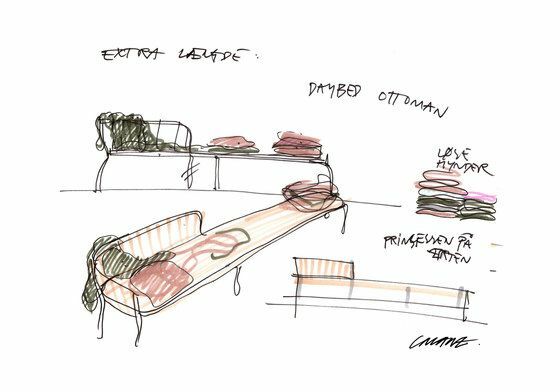 Cecilie Manz has drawn from observing couples, groups, friends and families interacting in seating areas – sliding down low in comfortable furniture, tucking up legs, resting side by side as stories are told and moments are shared. 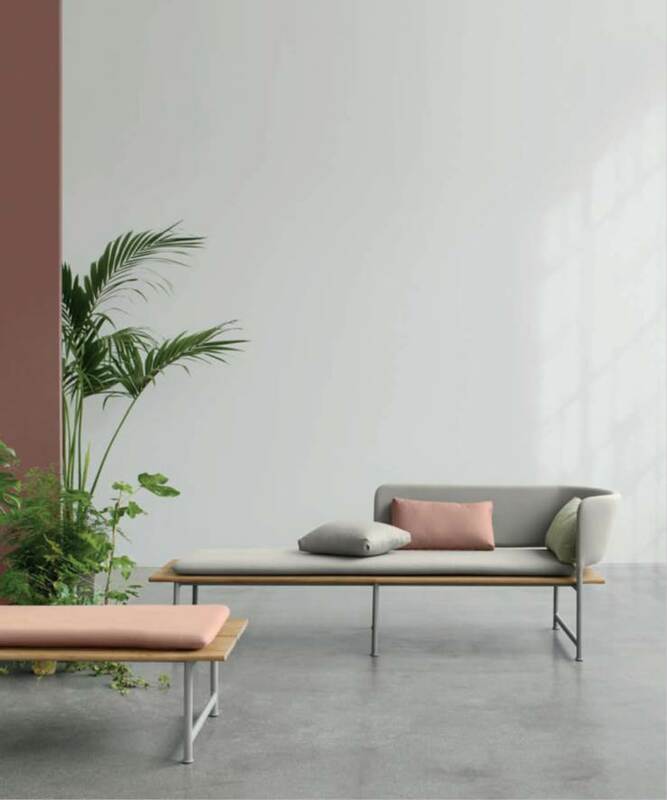 The minimal aluminium frames are finished with a resilient powder coating in Fossil colour and the self-supporting upholstered panels are covered with a selection of weather resistant outdoor fabrics by Sunbrella. Accompanying seat pads are available in a variety of matching, muted colours. Cecilie says “The materials in a project should reflect the usage of the pieces. Aluminium and teak are great materials for outdoor spaces, the finish of the metal is robust, and the solid teak gets a beautiful grey patina over time. Equally attractive as stand-alone items or in a collection, the signature daybed/chaise lounge units are accompanied by an imposing sofa and occasional tables that easily double as ottomans or impromptu benches with the use of an upholstered pad. Finally, in a nod to more traditional dining, yet still retaining the simple and inviting styling of the concept, a dining table is accompanied by a matching dining chair and bench. Ceclilie Manz sees Atmosphere as the freedom to move, to enjoy isolation or intimate moments. To be at one, whether alone or with those closest to you.